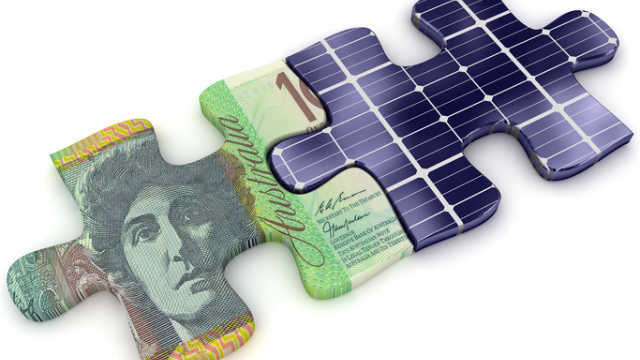 With some solar bonus schemes and installation rebates drawing to a close in recent years, many Aussies have begun to consider whether solar is still a good investment. The short answer is yes – solar is still a great way for Australian households to save on electricity – but only if you know how to find a good deal. Most electricity retailers these days offer competitive feed-in tariffs as part of their standard product range. 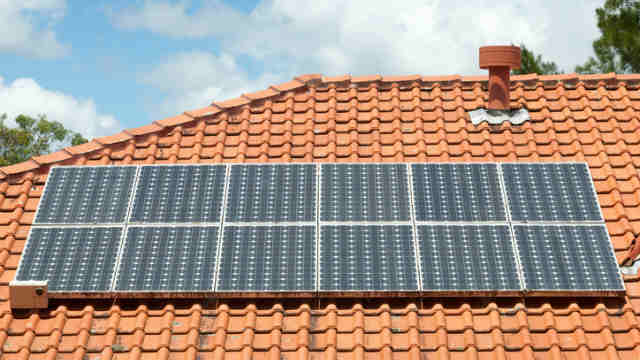 Some even have products specifically designed for customers with solar panels. Solar products are slightly different to standard electricity deals. While you are still charged for electricity usage and supply, you will also receive something called a feed-in tariff. In this article, Canstar Blue explains and compares feed-in tariffs across leading Australian retailers. We also look at what else customers should consider to find the best solar deal. A feed in tariff (FiT) is a small credit rebate that households receive for any excess electricity produced by a solar system or other small-scale generator. Simply put, unless you have a solar battery, any solar power produced by solar panels must be immediately used or it will feed into the shared electricity grid for other properties to use. For each kilowatt hour (kWh) of electricity that a household’s solar system exports to the electricity grid, that property will receive a feed-in tariff of a few cents, usually between 7 and 16 cents per kWh. Feed-in tariffs are not paid out cash in hand, rather they apply as a deduction on your regular bill. A high feed-in tariff can help drastically reduce what you pay for electricity, that’s why it’s so important to shop around for solar deals. Here are some of the cheapest published solar-specific deals from the retailers currently on our database for Victoria. These costs are based on a typical three-person household living on the Citipower energy network in Melbourne, but prices will vary depending on your circumstances. We show one product per retailer, listed in order of price. Use our comparison tool above for a specific comparison in your area. Annual cost estimates exclude solar payments. This table includes featured products from referral partners. Our database may not cover all deals available in your area, and please check retailer websites for up to date information. Here are some of the cheapest published solar-specific deals from the retailers currently on our database for NSW. These costs are based on a typical three-person household living on the Ausgrid network in Sydney, but prices will vary depending on your circumstances. We show one product per retailer, listed in order of price. Use our comparison tool above for a specific comparison in your area. Annual cost estimates exclude solar payments. This table includes featured products from referral partners. Our database may not cover all deals available in your area, and please check retailer websites for up to date information. Here are some of the cheapest published solar-specific deals from the retailers currently on our database for SA. These costs are based on a typical three-person household living on the SA Power network in Adelaide, but prices will vary depending on your circumstances. We show one product per retailer, listed in order of price. Use our comparison tool above for a specific comparison in your area. Annual cost estimates exclude solar payments. This table includes featured products from referral partners. Our database may not cover all deals available in your area, and please check retailer websites for up to date information. Feed-in tariffs vary markedly across states and retailers. Below is a state-by-state breakdown of the largest feed-in tariffs offered by retailers in QLD, VIC, NSW, SA, ACT, Tasmania and WA at the time of publication. Aside from Ergon Energy, all Queensland retailers have free reign to set their own feed-in tariffs. Those with solar specific deals tend to offer higher rates. Victoria is the only state to impose a legal minimum feed-in tariff on a competitive energy market. As of July 2018, the minimum FiT is 9.9c. As you can see, some retailers simply offer the bare minimum, but there are some solar specific products with much higher rates. The introduction of the minimum flat-rate FiT was accompanied by the introduction of time-varying FiTs. Under new laws, all retailers must offer either a single rate FiT, time-varying FiT, or both. The NSW regulator recommends a feed-in tariff of at least 6.9c/kWh, however as you can see, most retailers exceed this suggestion. Most of the better-known retailers in the state do not have any specialised solar products, while the few companies that do often have much higher feed-in rates than their competitors. South Australia has had quite a surge in feed-in tariff rates recently. Most retailers now offer FiTs upward of 15c/kWh, although it seems some didn’t get the memo. As you can see, solar feed-in tariffs are fairly modest in the ACT, although with the market becoming more competitive in recent times, perhaps this will change soon. The newly-competitive Tasmanian energy market now gives households a second retailer to consider in the form of 1st Energy, and it’s come to the table with a compelling offer for solar customers. If you live in Western Australia you unfortunately have no choice of electricity retailer, with Synergy and Horizon Power covering metro and regional areas respectively. Can I receive a premium solar feed in tariff? You may have heard about feed-in tariffs as high as 60c/kWh. Sounds nice right? Unfortunately, these premium solar feed-in tariffs are only available to homeowners who installed and registered their solar systems many years ago – generally before 2011, depending on the state. This means you are not eligible for a premium tariff if you’ve only installed solar in the past few years, or plan to do so shortly. Unfortunately, there’s no sign of any new solar bonus schemes in the near future. Queenslanders and South Australians who signed up to a solar bonus scheme before they closed will continue to receive a premium tariff until 2028. Victorian bonus scheme customers will also receive their premium FiT until 2024. Unfortunately for New South Wales solar bonus customers, the scheme came to its scheduled conclusion at the end of 2016 and all customers were reverted to a standard rate. Should I choose a larger discount or higher FiT? Some retailers, most notably Click Energy, have multiple offers for customers with solar panels. 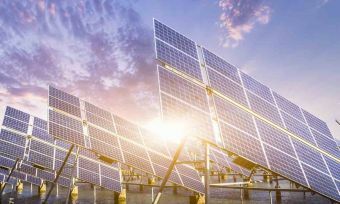 Its range of products might include a deal with a high feed-in tariff and low discount, a deal with a low feed-in tariff and high discount, and sometimes, an offer somewhere in between. So which should you choose, the better FiT or larger discount? Unfortunately, the answer isn’t clear and it will depend on your personal circumstance. Consider the following points. Solar monitoring technology can give you insights into your electricity usage habits and help you make a better informed decision about which plan is best suited for your home. A large feed-in tariff is definitely nice, but you shouldn’t just assume a bigger feed-in tariff means it’s a better deal. You should always look at the energy price factsheets when comparing electricity products. Keep an eye out for ‘solar metering charges’. These are daily supply charges that certain retailers apply to solar customers. It’s also not uncommon to find solar products with large feed-in tariffs charging higher electricity usage or supply rates, so you need to consider if the trade-off is worth it. If you have a large solar system, say 5kW or over, then you will most likely be better off on a deal that provides a high feed-in tariff, even if it means slightly higher electricity usage rates. A bigger feed-in tariff may also be attractive for households that are hardly home during the working day to use their solar power and consequently have most of it exported to the energy grid. Conversely, customers with small solar systems or a storage battery probably won’t export much solar to the grid and should focus on cheap electricity rates over feed in tariffs. The same applies if you’re home during the day and tend to use up all your solar power. Now, while rates are important, so is customer service. If you truly want to make the most from your investment in solar, you need an energy retailer that will help you at every step of the process. To see which solar energy companies are meeting customer expectations, check out Canstar Blue’s solar provider customer satisfaction ratings via the link below.